Why buy a car when leasing one is so much more convenient – and affordable? A recent article in a leading New Jersey media outlet, NJ.com, found that consumers are confused when it comes to leasing a car. They aren’t sure whether to put money down or not, how much to put down, and what exactly are the benefits of making a down payment on a leased car. Large down payments are not only costly, but they can work against you in a lease environment, particularly if the vehicle is involved in an accident. Consumers need to pay close attention to this aspect of the negotiation process. Is there a better way? 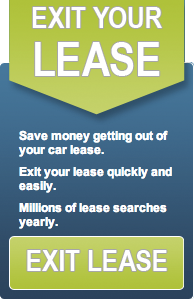 We’ve all heard the old adage time is money and in leasing cars it is no different. Why get locked into a long-term contract when you can transfer your lease to someone else in as little time as possible? Besides, why waste money on a down payment for a car when you can get one for zero money down? All you have to do is take over someone else’s lease. It’s that simple! Swapalease.com is a different kind of automobile marketplace that connects potential buyers to sellers based on their needs. People looking to transfer out of their lease are matched up with potential consumers on swapalease.com and the transfer process is begun. Swapalease.com requires NO down payment of any kind and the buyer can pick up right where the seller left off. What better way to get a new car than assuming someone else’s lease and making no down payment? The car of your dreams is waiting for you. Is Sign And Drive The Right Car Deal For You? Sign and Drive. We’ve all seen the television commercials for Volkswagen and other dealers marketing this opportunity. But what does it honestly mean? The conceptual idea sounds practical when you first hear it, but there’s more than signing the dotted line and driving away in the sunset with the car of your dreams. In the end, is this the right car deal for you and your wallet? What Exactly Does Sign and Drive Mean? 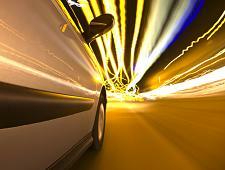 Sign and drive is a car leasing option offered by lenders to potential buyers. The concept behind a ‘Sign and Drive’ option is: you find the car you want to lease, go through the normal car leasing process, but in the end there isn’t a down payment. Buyers can become very disillusioned by this option. What You Should Know. If you believe you can walk into your neighborhood dealership and sign and drive the vehicle of your choice, you may want to think twice. This kind of opportunity isn’t open to anyone and there are several stipulations hiding behind the name. The majority of people may not even qualify for the opportunity. Sign and drive deals require impressive credit scores. For those who get a chance to sign the paper, you will see under the fine print that usually not everyone qualifies. 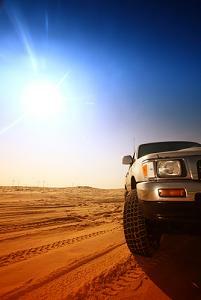 Typically, buyers must qualify for the offer and finance the vehicle through a certain financial institution. Credit is analyzed differently in a car lease scenario, and once you pass the initial credit approval process your credit is analyzed a second time to determine what payment you qualify for. Another facet to take notice of is your monthly payments. With no down payment in a ‘Sign and Drive’, the overall price of the vehicle will be made up in the amount your monthly payments turn out to be, compared to the price they’d be if you placed a down payment. For example, let’s say you pay $300 on a monthly sign and drive lease, but with a $2,000 down payment on a normal lease, your monthly payments may come out closer to $240. 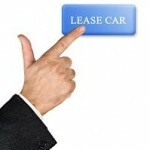 Lastly, will the manufacturer behind Sign and Drive deals allow you to transfer your lease if your automotive needs change in the middle of your term? Always check with the manufacturer ahead of time to ensure you can complete a full lease transfer. In conclusion, simply do your homework. Most advertisements on vehicles tend to be to go to be true. Read the fine print and don’t sign on the dotted line unless you’re well aware of the stipulations behind the deal. For more information on sign and drive lease programs or to learn how you can have a successful car lease trade, contact Swapalease.com at 866-SWAPNOW.